Acupuncture Available in Sherfield on Loddon, with Nicci on Wednesday 10.00 – 17.00, Mon &; Fri 10.00 – 15.00. Experts advise people not to use acupuncture instead of seeing a conventional health care provider. 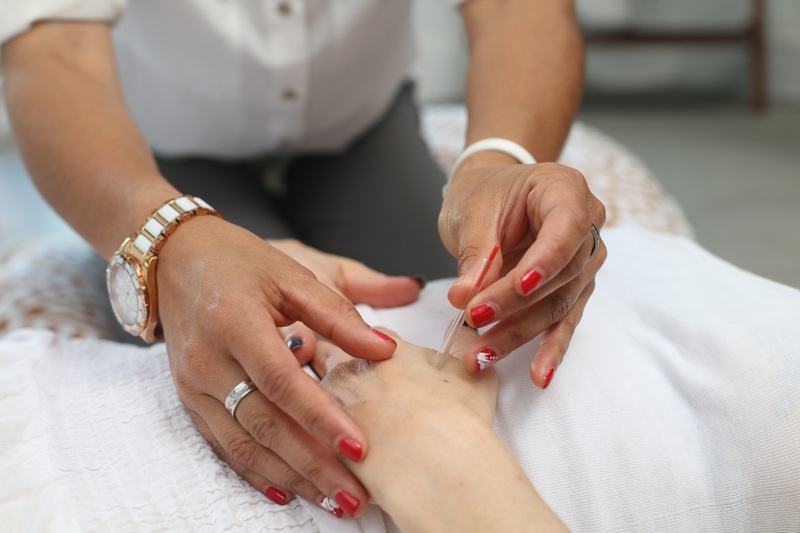 An acupuncturist will examine the patient and assess their condition, insert one or more thin, sterile needles, and offer advice on self-care or other complementary therapies, such as Chinese herbs. The patient will be asked to lie down on their back, front, or one side, depending on where the needles are to be inserted. The acupuncturist should use single-use, disposable, sterile needles. As each needle is inserted, the patient may feel a very brief stinging or tingling sensation. Sometimes the needles are heated or stimulated with electricity after insertion. The needles will stay in place for between 5 and 30 minutes. The number of treatments needed depend on the individual. A person with a chronic condition may need one to two treatments a week over several months. An acute problem normally improves after 8 to 12 sessions.